If we don't change, we don't grow; If we don't grow, we are not really living. Project Citizen is an international NGO which endeavours to create better and more responsible future citizens. Students take up important social issues and try to find policies to solve problems. 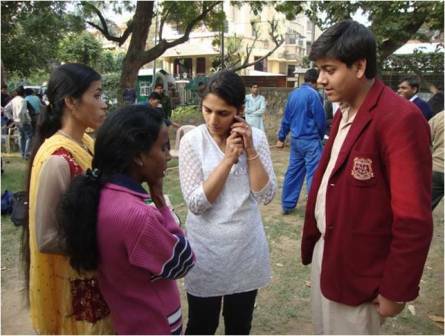 As part of project citizen, 16 students of class XI had undertaken a research project titled ‘Innocence Interrupted ’.Students had done extensive research on various aspects of juvenile criminal instincts and participated in a national level competition held at Ramjas School and bagged the trophy for best presentation. 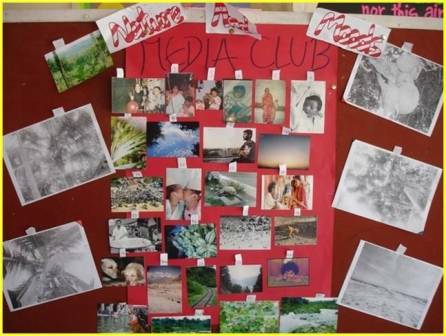 During the session 2012-13, Media club followed the agenda given by NCERT. Students were given awareness about TV viewing and good media habits by media club members in the assembly through a skit and a quiz. Letters to the Editor of HT were written by students protesting against some objectionable advertisements. The next newspaper edition of Teen Times with the topic ‘Social networking’ is also about to be released. In the peace club for classes IX and X, various issues related to conflicts were discussed. Issues related to anger-management, road rage, cyber crime, crime against women, Juvenile crimes, were taken up. These were discussed by different groups of students. Power point presentations were also prepared and delivered before the class. 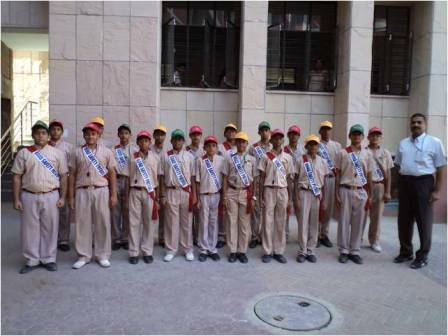 Investiture ceremony of Interact club was organised where students of CHETNA, an NGO working for street children participated. 9 students of Interact club are working with the project of ‘WHO ‘and an NGO ‘HRIDAY SHAN’ for a 1 year of pilot project on effects of smoking in movies on youth. Our students are a part of research project entitled “Thumps up! Thumps Down” which is an adaptation of the TUTD programme of California on anti smoking drive. 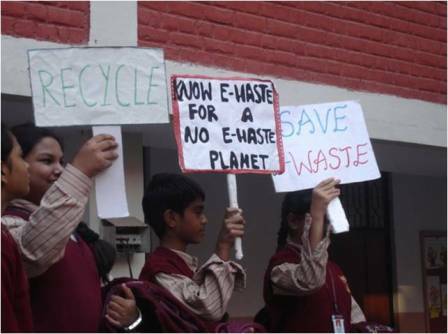 In Eco Club, our students were made aware of an eco-friendly atmosphere in school and various eco friendly measures were adopted in school. Students put up presentations during assembly time. The Green Brigade was on duty at the school gates making students and teachers aware that the school area is a polythene free area. Heritage club encourages students to know about their rich heritage. This year students did research work on Indian costumes and jewellery (iron, ivory, bones etc.) of different states and on Indian Temples. 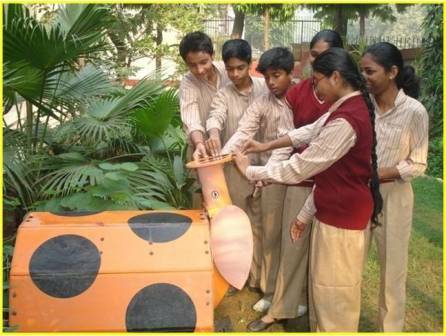 Puppet making from waste materials was taught to the students. Presentation and information on evaluation of newspaper in India was done by the students. 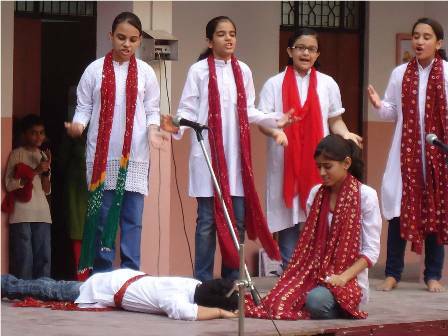 The club also organised skits on popular historical events like Revolt of 1857 and heritage of India. 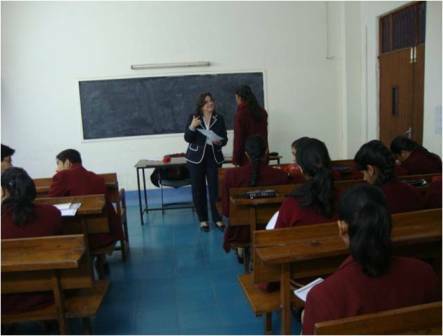 Classes IX and X had prepared projects on various topics throughout the year. Power point presentations based on their projects were presented. 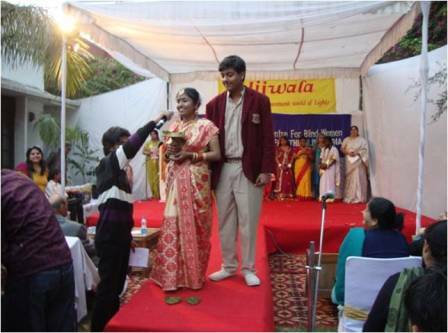 Health Project on healthy lifestyle, in collaboration with Diabetes foundation of India continued this year also. A team of doctors from Singapore and Diabetes Foundation visited school and addressed classes 6 to 12 about various life style diseases and practices. Students were also given hands on experience on healthy cooking by preparing healthy meals. 140 students of Class XI did social work in various NGO’s like NAB, VIDHYA, CANKIDS, Harmeet trust old age home and Shruti an NGO working for community development and slum school at Begampur. 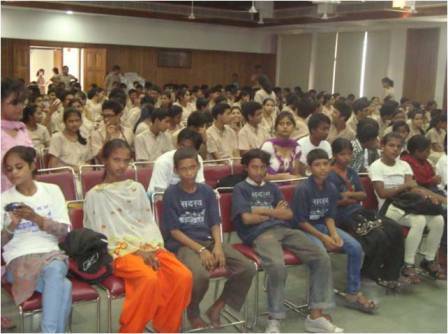 This is an effort to sensttize students towards various social problems and also to develop responsible behavior. Road safety club aims at giving valuable tips to save and sustain life on roads. According to them ‘Safety is not just a slogan, it’s a way of life. 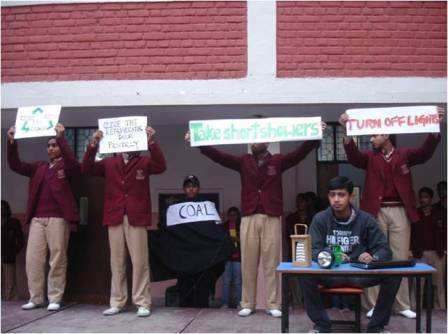 Safe and efficient use of traffic norms were taught to students through Power point presentations and discussions. This club aims at increasing creativity of students and use their artistic skills to create digital art, animations, videos and movies. 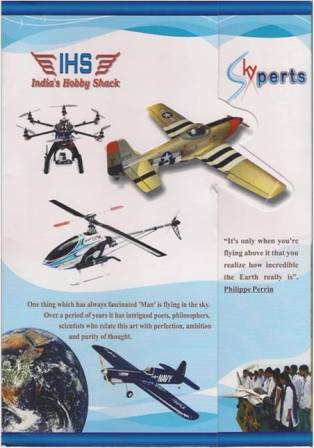 A new activity was introduced for senior classes this academic year and that is Aero modeling by Indian Hobby Shack. Aero modeling aims at cultivating it as a hobby where there is scope for creative applications of mind along with technical know how. The IHS team helped the students to create their own blue prints of the models, and assisted them in making those models & flying them. Parents also got a glimpse of this when they got to see the gliders in flight on Sports day.